Sony today announced that it will fully restore all PlayStation Network (PSN) services in the Americas, Europe/PAL territories, and Asia (excluding Japan, Hong Kong, and South Korea) by the end of this week. The company will also resume Music Unlimited powered by Qriocity for the PlayStation 3, the PlayStation Portable, Vaio, and other PCs. 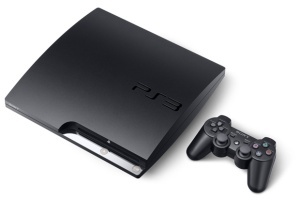 Sony's users will be able to purchase and download games and video content from the PlayStation Store on PS3 or PSP. In addition, consumers will have full access to Music Unlimited powered by Qriocity through PS3, PSP, VAIO, and other PCs. Sony will be offering customers a Welcome Back package of services and premium content to all registered PSN and Qriocity account owners. Details of this program are based on region, but you can read more about it here: Sony explains 'Welcome Back' program, free games revealed. Sony's restoration work is still not over. Details for Japan, Hong Kong, and South Korea as well as the remaining services on Qriocity (Video on Demand and Music Unlimited for a variety of network-enabled Sony devices) will be announced later.